Earlier this year, I posted about how much I love the Printable Magnet Paper from OnlineLabels.com. Who doesn’t love magnets? 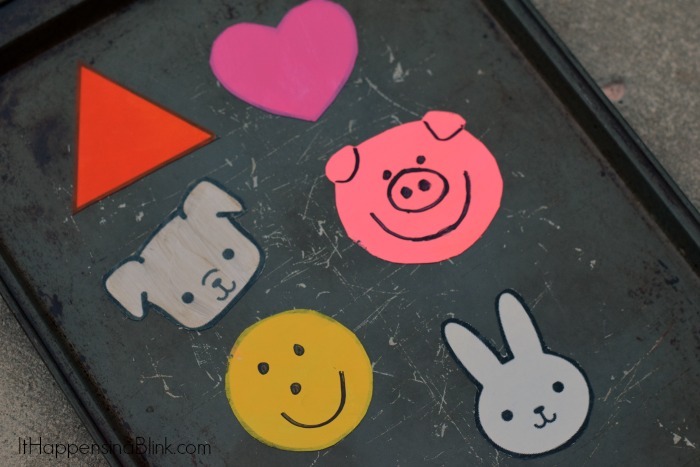 There are so many options with the magnet paper, and today I am making DIY Kids’ Magnets. This month, as part of the Crafty Hangouts team and the Online Labels team, I created a quick video to demonstrate just how easy and fun these are. 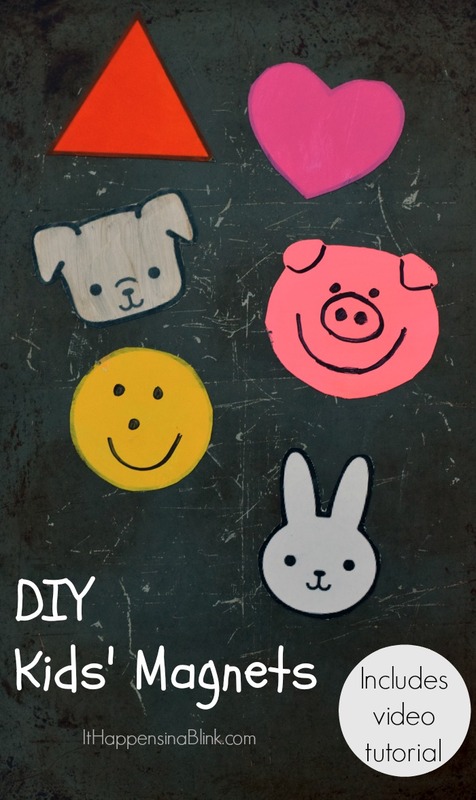 I’m using PicMonkey to create the shapes for these magnets. If you’ve never used PicMonkey, it is super simple. Begin by opening up a blank photo file and resizing it to an 8×10. 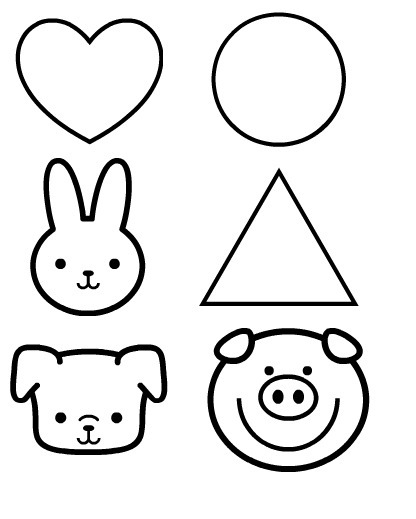 Use the shapes section to create a page of various shapes. Save the file to your computer, and then print it off on the magnet paper. Feel free to customize the page, or right click the below photo to print off the sheet that I have designed to use as a magnet sheet! After printing, use scissors to cut out the shapes. Older kids can assist with this step. Pull out the markers and paints. Kids can use either or a combination of the two! My daughter decided to paint each shape and then use a marker to define the eyes and other elements. Of course, you do not have to use PicMonkey to design these. If you have a favorite photo designing software, feel free to use that. OnlineLabels.com also has a large variety of other printable labels. Check out a few of these other projects that I’ve completed using products from Online Labels. What would you use the printable magnet paper for? Organization? Gifts? Crafts?